Product code: W565 Categories: Sold Items, Sold Watches. Here is such a unique and special antique carriage clock with a hand painted miniature at the bottom that really sets it apart from all the others. Made in the 1890’s this wonderful French carriage clock has an eight day key wind movement that has been completely serviced and runs perfectly and comes with our twelve month warranty. The dial is all original and so easy to read with the black numerals and of course below this is the gorgeous hand painted miniature. In over 25 years of dealing with carriage clocks, this is the first time that we have ever come across this feature and really makes it so special. 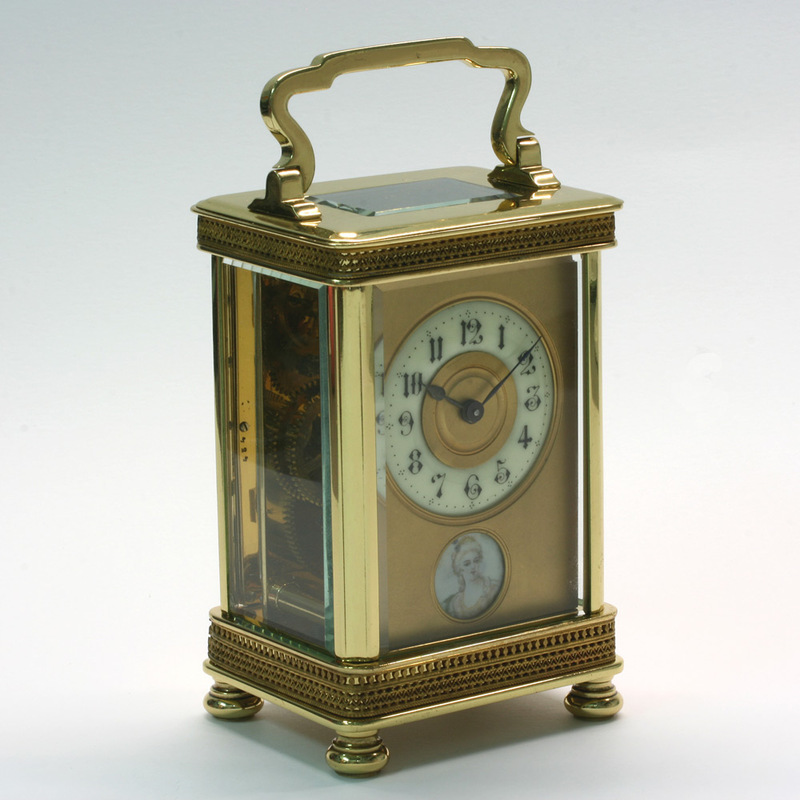 The brass case has glass panels on the sides, back and top to show the movement, and the H & H stamp on the back is the stamp of Harris and Harrington who were the importers of fine French clocks into the UK at this time. The case measures 8cm wide by 6cm deep and 11.8cm to the top of the case or 15cm to the top of the handle when it is upright. 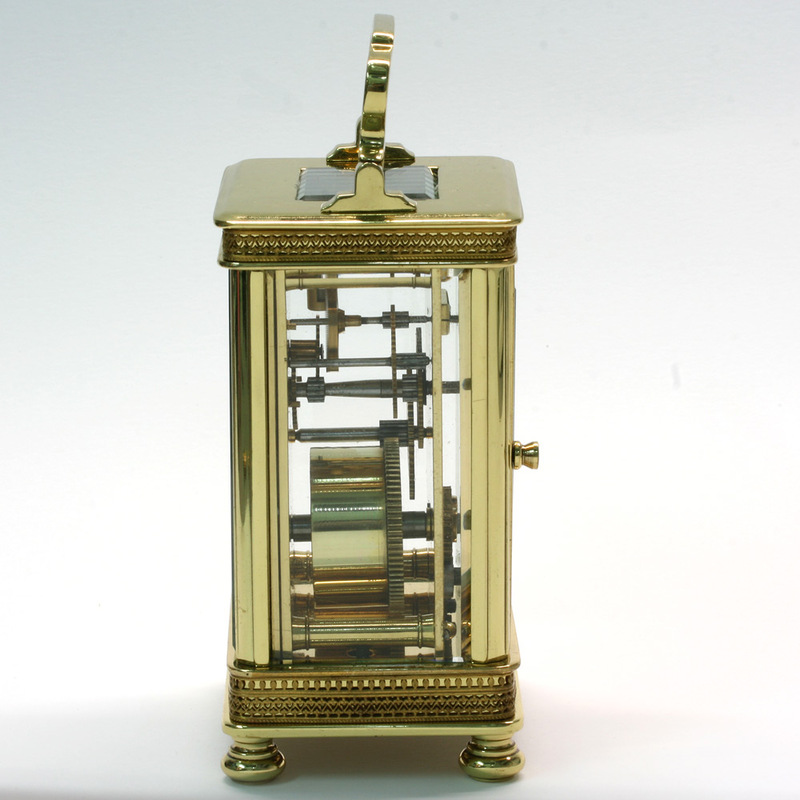 A very special and unique antique carriage clock, it really is so special and unique.